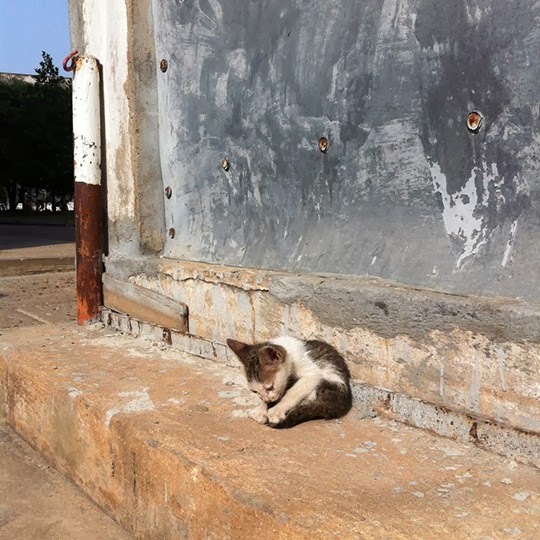 Traveling cat spotted in Phnom Penh, Cambodia. Sleepy kitty. Have a marvellous Monday. Next time my cat complains I will remind him of this poor starving waif. Il a l'air tellement malheureux. Tellement humain en plus dans son attitude. C'est terrible. terriblement touchant. They are everywhere, they are everywhere. Un petit déshérité, si triste. the kitty looks like it is praying! Ahhhhhhhhh, what a pic. Just sweet. Cheers!! 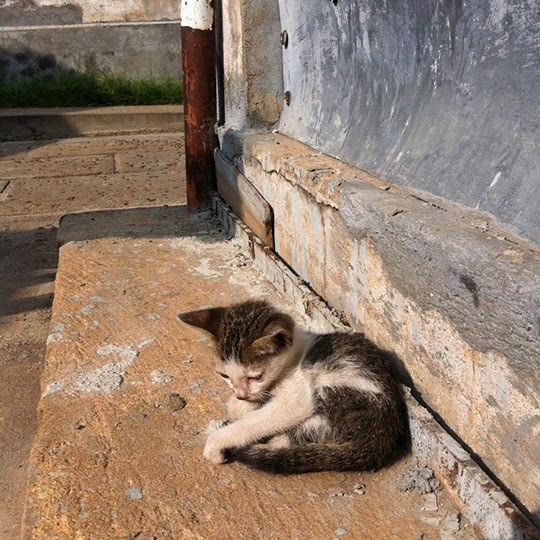 To us this is a kitty that is enjoying the sun....no sadness..no extreme joy...the kitty just IS in a warm place.